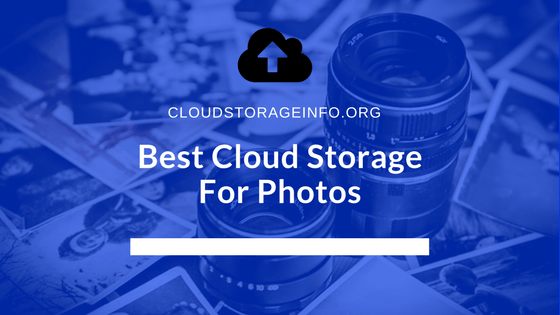 I would like to warn you about certain things that you should pay attention to before we figure out which is the best online cloud storage for photos. Online storage or as we like to call it, "The Cloud" has in the past few years become something very normal and worldwide used. It's being used by everyone, personal users and businesses alike. There are three modules of different online cloud storages. Private, public and hybrid. I imagine you won't be creating a server room inside your apartment to have your private cloud, so we'll focus on the public clouds. Hybrid is a mixture of a public and private cloud, but that's a little more complicated. If you would like to learn more about these types check out this article. Skip this and find out which is the best online cloud storage for photos. Why? Well, the answer is simple. By moving your photo collection to the cloud, you'll be able to access your photos wherever you are at any time. I personally have my whole collection of photos saved on the cloud. By the way, it's around 800GB big - Mostly family photos. Whenever I go somewhere, I can just pull out my smartphone and show any photo for 20 years back. I think that's kind of cool and useful to have. Before I moved to the cloud, I had my photo collection saved on an external hard drive which I then backed up by another hard disk to protect the photos in case something bad happens. Now that I have everything on the cloud I feel safe since I know they back up my files multiple times and I don't have to bother with hard drives anymore. What About The Photos I Take Daily? Many of you take pictures on a regular basis through your smartphone. 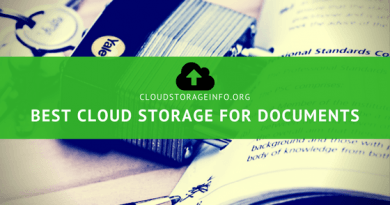 Many cloud storages offer mobile applications that automatically upload photos directly to the cloud and delete the locally saved photos at the same time. Theoretically, you could have unlimited storage for your photos directly on your smartphone. Good stuff if you ask me. 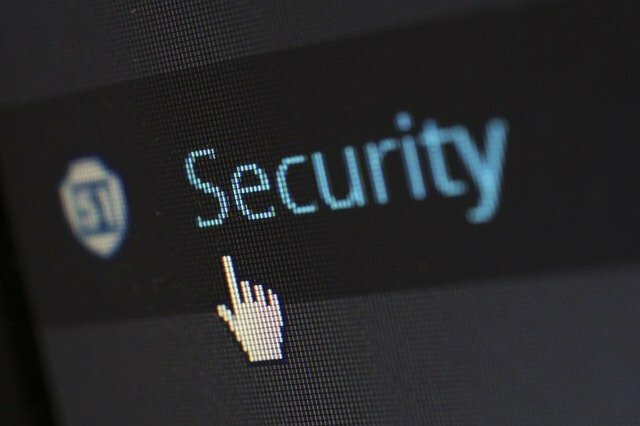 How Secure Are My Photos In The Cloud? You can approach this question from two different corners. Wrong. Three different corners that are all very important to the safety of your files. If you want to be absolutely sure nobody can have a glimpse of your photos you should join a cloud storage that encrypts your data client-side. That way only you have the keys to open your files and nobody else. Not even the cloud service administrators can access them. All your data should be encrypted with latest up to date methods. Good cloud service providers encrypt your files while in transit and on rest at their servers. The best encryption is obviously client-side encryption. Redundancy is a system within a cloud storage that creates backups of your files. Depending on the cloud service they backup your files 2,3 or up to 5 times. The photos are stored on different servers which prevent data loss if there's a mechanical failure in the system. A critical feature for any cloud service. In addition to what's written here, you can read more about the security of the cloud storage here. pCloud is a cloud storage that offers top-notch security with unlimited download and upload speeds. Every single file is divided and saved into 15 different racks or servers which guarantee that your photos won't get lost. One of the best things about pCloud is that it does not take up space on your computer. All of the files are saved directly to the cloud and available to you on all your devices at the same time. This is exactly what you need for an extensive photo collection. If you want client-side encryption, you can also get their pCloud Crypto plan which provides the maximum protection and privacy. The interface is fast and organised. You can also backup the photos on your smartphone automatically with their mobile application. You also have the option to automatically delete the photos on your smartphone as they're uploaded to the cloud. Sync also synchronises your photos across all devices incredibly fast which is always a great feature to have. SugarSync is a cloud service that focuses on making sure your files are synced across all your devices. It offers a very good syncing solution, decent sharing options with generous link bandwidth, good security, an extensive FAQ base and well made mobile applications. Their plans are more expensive when compared to other cloud storages but at least you're getting what you pay for. Unfortunately, there's no local encryption so you would have to encrypt your files locally on your own accord to make sure they're 100% safe. Where do you save your photo collection? Share your opinion in the comment section down below! ← What Is HIPAA Compliant Online Cloud Storage – Which Is The Best? Thanks for this extremely informative post! I am currently researching cloud options, and your first 2 choices, P-Cloud and Sync have piqued my interest. I have several questions: Is there a difference between client-side encryption and local encryption, and why is local encryption so important? Why is not being subject to the US Patriot Act important? This is all new to me, and I want to ensure I make the right choice. I feel I’ve come to the right place for this critical info. One last question: when choosing an online cloud storage system, should I take into consideration the fact that I am using an android rather than an I-phone? Client-side encryption means that the data is encrypted before the transfer is done between the user and the servers. The term has been established since the rise of cloud providers but it essentially means that the data is encrypted locally and then uploaded to the servers. The bonus part of this is that you don’t have to do anything to encrypt the data yourself. If you’re uploading files that are sensitive and for your eyes only you should definitely go with a cloud storage that provides that level of privacy for you. Zero Knowledge Encryption Explained – This article explains the zero-knowledge privacy principle which is what you should aim for since it offers complete privacy. When choosing a cloud storage just make sure that it offers an application on the system you’re using. Generally, any cloud storage that means anything on the market offers applications for both android systems and iOS. Great to know that you can store your photographs for years without losing them.I Have lost quite a handful of beautiful ,memorable and cherished moments captured in photographs and the fact that it has such an ernomous space for storage. My question is does it occupy any of the space on smartphones as some phones have limited memory? Your research is indeed an eye opener. In short, no it doesn’t take up any space if you set up the application correctly. Cloud storage applications usually do that by default. All the data is stored on the servers and you access it whenever you need it via the internet connection. 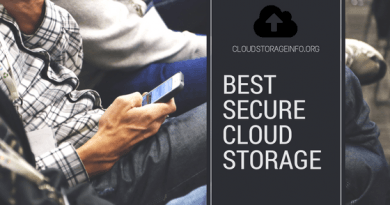 Most of the cloud storage applications offer the ability to make your files available even when “offline” which stores them directly on your phone. That does take up space but as mentioned previously, that only happens if you decide to make them available for offline usage. Thanks for your interesting article on cloud storage. I had previous experience with Drop Box, One Drive and Google Drive, but did not realise that there are so many more cloud storage facilities. For me this is a welcome reminder to back up my business files. The idea of storing your photo’s in the cloud is a very good one and I will be doing this myself shortly. My partner and I have just started learning about photography and your post about cloud storage couldn’t have come at a better timing! Knowing that our photos are stored securely is top priority. We’re currently only use Dropbox, but I read that you also use pCloud in addition to Dropbox. Could you please explain the difference between the two? Would we have additional benefits using pCloud over Dropbox? Really appreciate your help as this is fairly new to us! They are both very useful and have an extensive variety of features. One field that I see pCloud advancing in front of Dropbox is the privacy and security. With pCloud Crypto, you’re guaranteed the maximum privacy due to the fact that you’re the only one that can access those files. One more example of such privacy is also Sync.com. If you would like to know more about these cloud storages just check the reviews here – pCloud and Sync.com. pCloud also offers much better upload and download speeds in my experience, making it perfect for transferring huge photo and video collections. If you have any more questions don’t hesitate to ask. Well compact review Dejan, I admire your research and the knowledge you have about the cloud storage. I think Cloud storage is one of the best stuff we can get online for free, and save thousands of photos with security, redundancy, and Privacy. Google storage, Dropbox, Imgur are the services I have used and still using them. Ok, let me ask which is your favorite cloud storage and why? I appreciate your thoughts. I am personally using pCloud and Dropbox. Dropbox just because I’ve had it since forever and never really bothered to change it. I am using pCloud for photos&files; that are important to me. pCloud has one of the best security and privacy systems, alongside their redundancy method. Their prices are also fair and decent when compared to other cloud service providers. If you want to know more about pCloud just check this review. 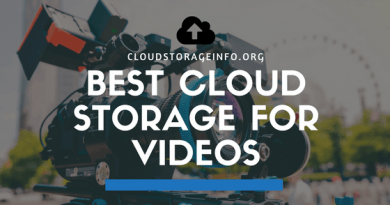 Thank you so much for outlining the best cloud storages for photos and why each one is good or not. Now I’m wondering how do these compare to the storage services that I already use. I already use onedrive (mostly) and google drive. There are a couple of others that I have, but I don’t use very often. I pay for my storage at both onedrive and google drive. I have liked onedrive better. It seems easier to share things off of it than google drive. Well for starters, Google Drive and OneDrive don’t provide client-side encryption which is available both with pCloud and Sync.com. Their prices&plans are similar with the one listed above being a bit cheaper. Especially with the 2 TB offer. OneDrive also fails to provide a real versioning system which is very relevant if you’re dealing with documents. It’s funny how you pointed out that you seem to be sharing your files easier with OneDrive. In my experience they have quite limited sharing options or should we say they don’t offer as much as the other cloud storages, especially when we touch sharing with links. Apart from that I believe they’re all good cloud storages with pCloud and Sync.com taking the upper hand – Especially in the security&privacy department. If you would like to know more about them check their reviews here – pCloud and Sync.com. Hopefully that helps and thank you for stopping by. I have often wondered about how to make sure your photos are backed up and protected. I know they have online back up services, like Carbonite or iDrive, but they don’t allow you to share your photos across multiple devices. I figure most people have heard of back up services associated with their operating system, like Google Photos or iCloud. How do pCloud, Sync, and SugarSync compare to those? First and foremost thank you for stopping by. Regarding your question, pCloud and Sync are more of a cloud storages than cloud backup services. As you’ve mentioned this openes up a lot of new possibilities like sharing your photos with everyone and being able to access them everywhere. They also have an advanced privacy system called Zero knowledge encryption which is by far the best security system out there. Google and iCloud for example don’t provide that. If you wish to know more about this services just check out the detailed reviews that we have here at Cloudstorageinfo.org.